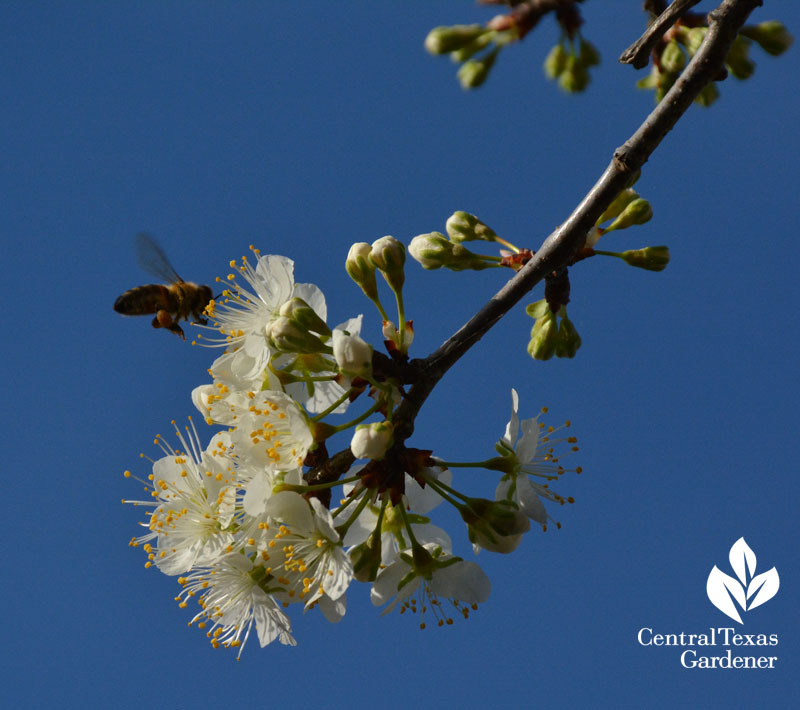 Mexican plum’s a native, deciduous tree with beautiful, fragrant spring blooms in February and early March. 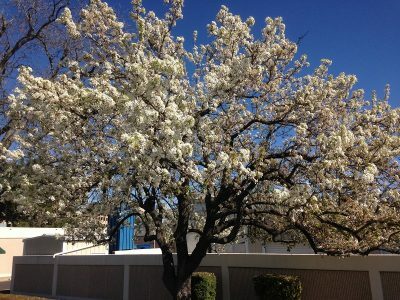 Its white flowers, similar to other fruit trees in the Prunus family, are highly attractive to bees and other pollinators. 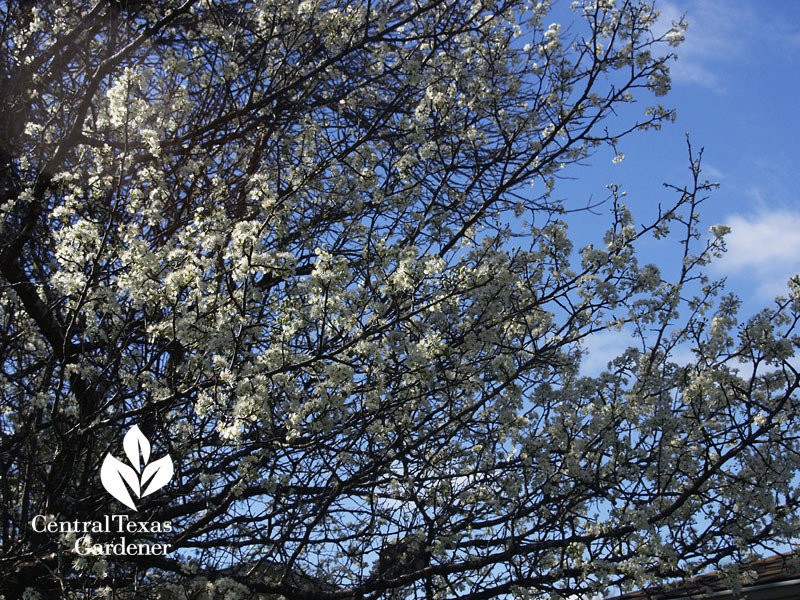 At maturity, Mexican plum’s about 20-25′ tall, with spreading branches, perfect for smaller gardens. 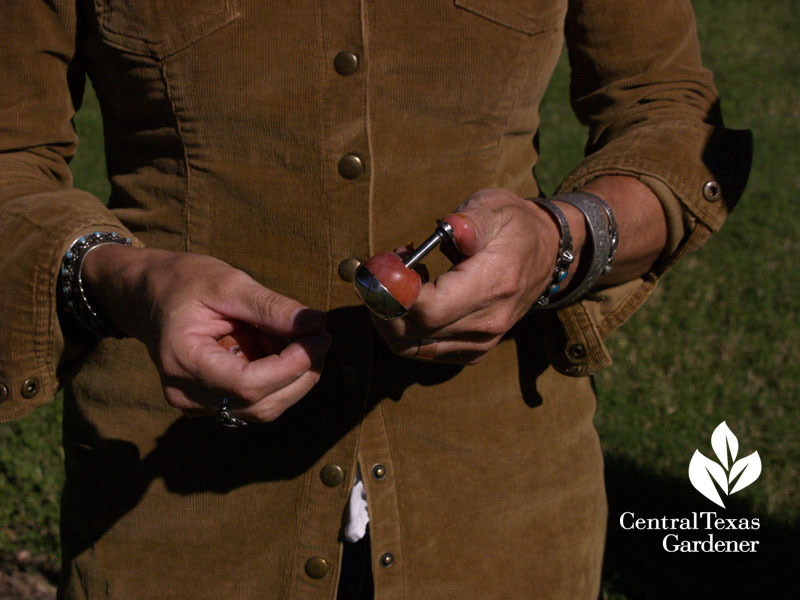 As it ages, the bark peels to reveal dark stripes, adding structural interest the garden in every season. 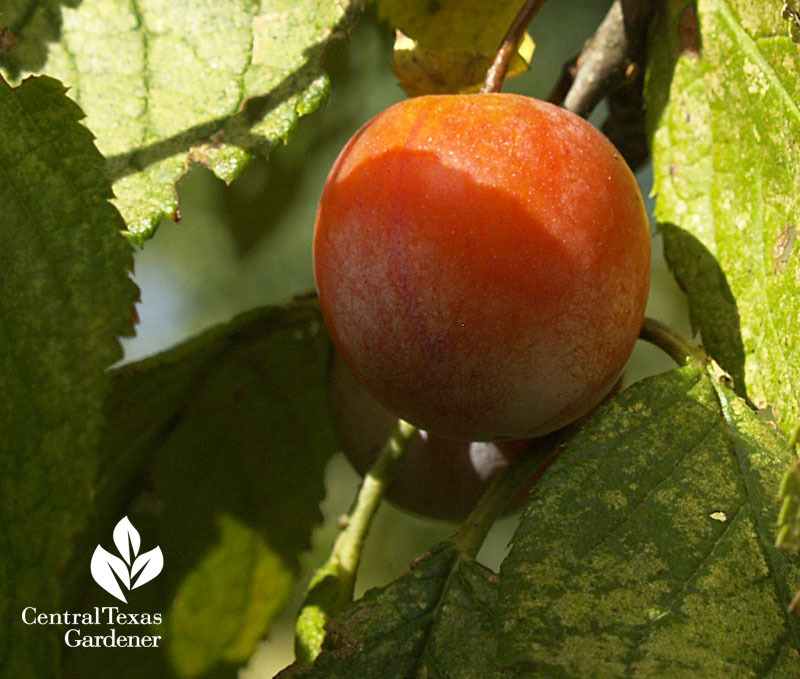 Mexican plum likes sun, but can take some shade as an understory tree. 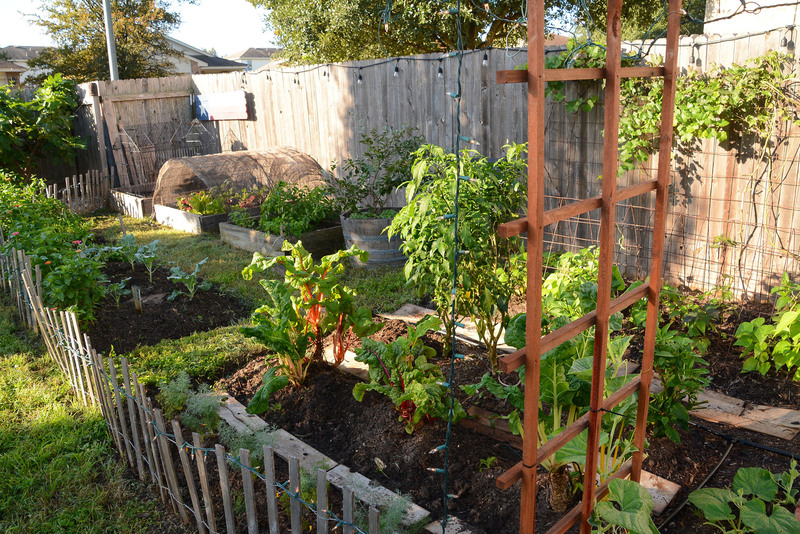 Although it’s drought tolerant, additional irrigation helps it to hang onto the small fruits that ripen in fall. 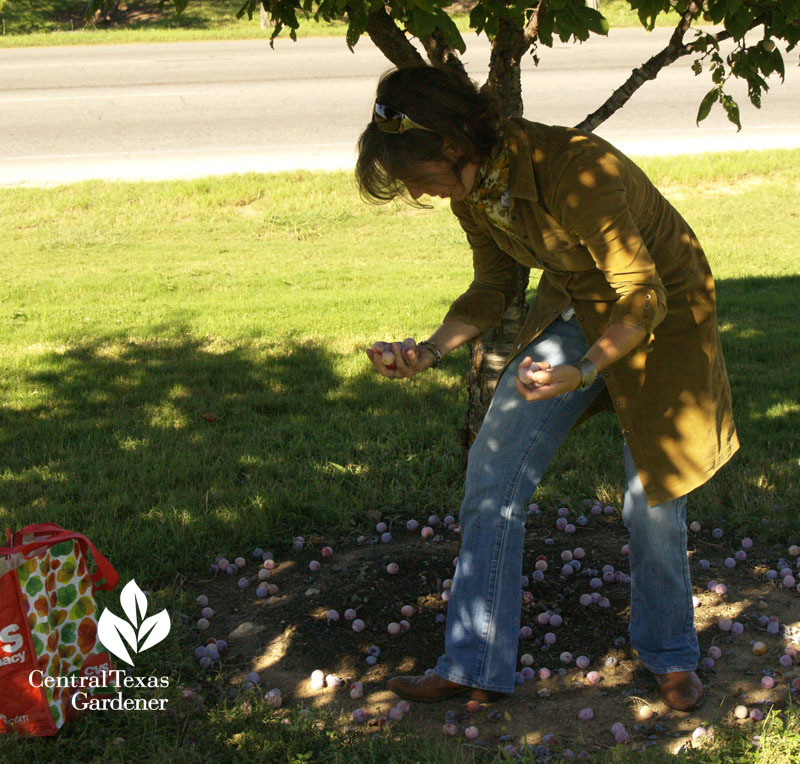 Birds love to dine on the small fruits, be we can make jams and jellies out of it, too.